It took place in the shadow of the dramatic evacuation from Saigon, which signaled the close of an era and the end to a U.S. presence in Vietnam. 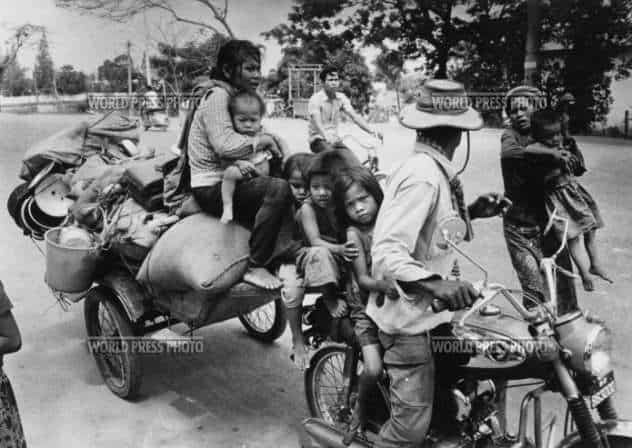 However, the fall of Phnom Penh proved to be an even greater tragedy, as it paved the way for a takeover by the ruthless Khmer Rouge, whose leader Pol Pot orchestrated the Cambodian Genocide, in which an estimated two million people died from 1975 to 1979. On that day in April 1975, the U.S. embassy had to respond to try to save as many people as it could. Cambodia had received its independence from France in 1953, effectively making King Norodom Sihanouk its ruler. Sihanouk’s Vietnam War policy was to preserve Cambodia’s neutrality and prevent it from being drawn into the war by its neighbors. In 1965, however, he made a deal with China and North Vietnam that allowed the latter to establish permanent bases in eastern Cambodia and the transshipment of military supplies from China. In March 1970, while Sihanouk was out of the country, Prime Minister Lon Nol convened the National Assembly, which voted to depose Sihanouk as head of state and give Nol emergency powers. 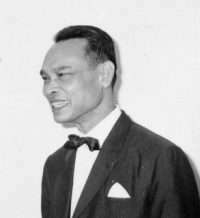 Prince Sirik Matak (Sihanouk’s cousin) retained his post as Deputy Prime Minister. The newly formed Khmer Republic was immediately recognized by the United States, with Lon Nol as its self-proclaimed President. The capital of Phnom Penh was the last bastion of the Khmer Republic in 1975 and by April of that year, the Khmer Rouge, as the Communist Party of Kampuchea was also known, completely surrounded the city. Phnom Penh was dependent on receiving supplies via air support. It became readily apparent that the Khmer Republic would collapse at any time. Operation Eagle Pull was the helicopter evacuation of Phnom Penh that was carried out on April 12, 1975. 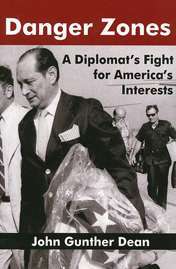 John Gunther Dean was Ambassador to Cambodia during the evacuation. In his oral history (excerpted from his autobiography, Danger Zones), he talks about his differences with Secretary Kissinger over last-ditch efforts to broker a “negotiated solution,” the preparations involved in the massive evacuation, and a heart-wrenching letter from Sirik Matak, accusing the U.S. of abandoning the Cambodian people. DEAN: The reason I began to plan for an eventual closing of the American mission to Cambodia was that Congress was debating the reduction or elimination of funds to support the struggle against the Khmer Rouge. We had no idea whether new funds would be voted for Cambodia, just to finish the fiscal year, or for the new fiscal year. In January 1975, I went on American and international television and pleaded, “Don’t walk out on the Cambodian people, but rather give us the necessary funds so that we can keep going to gain time to find a “negotiated solution.” There were senators in Congress who agreed with my position. In fact, there was a move in Congress to vote an additional $122 million for the period March-April to the end of June 1975, but during this period a negotiated solution should be found. Dr. Kissinger did not testify before Congress on this issue. He sent his deputy. Perhaps he disapproved of this approach. Personally, I felt that even if we were dealt a poor hand (perhaps no more funding), I still had to find a solution. I could not just turn over the Cambodian people to what we knew was a ruthless regime. Our messages from Phnom Penh were crystal clear: If the Khmer Rouge takes control of the country, there is going to be a bloodbath. The exact word was “bloodbath.” It turned out to be even worse: a genocide. Determined to find a controlled solution, I wrote through the French Embassy in Phnom Penh letters to my friend Etienne Manac’h who was at that time French Ambassador in Beijing. He brought about the meeting in Martinique in December 1974 of President Gerald Ford with the President of France, Giscard d’Estaing. They issued an invitation to Prince Sihanouk to return to Phnom Penh and head a coalition government representing the two Cambodian sides. Sihanouk at that time was the Head of the Khmer Rouge Government in exile. Probably Sihanouk was only the nominal head, but his name meant so much, not only inside Cambodia but also on the international scene, that his involvement would assure the success of this effort. To convey the invitation, the French sent an ambassador to Beijing, but the Chinese authorities would not give him a visa. Sihanouk answered that the offer came too late and that he could not return to Phnom Penh. Was he a free agent at the time? I don’t know. Did he really feel it was too late, that he saw the handwriting on the wall? He turned down the offer. I would like to say, the fact that the President of the United States did go to Martinique for this meeting and helped in issuing this invitation showed there was in the United States some support for the effort not to leave Cambodia in an uncontrolled situation. Q: You have these orders from Kissinger to fight the war. The reports going back were that the war was unwinnable. 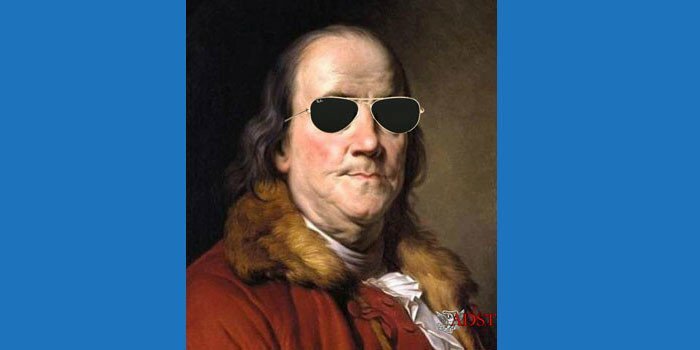 The idea of working with the French may have been anathema to some elements in Washington. I was grasping at any straw. Whoever offered to help search for a solution, I passed it on to Washington. At the end, I got a message saying – and it is also in the most recent book of Dr. Kissinger – that there was a feeling in Washington that I was doing this for the record rather than really believing in it. I think Dr. Kissinger himself knocks down this thesis. Personally, I was not interested whether it would make the American negotiators look strong or weak, politically correct or incorrect, but as long as I had something to negotiate with, I was trying to find a “controlled solution.”… Was it too late? Perhaps. In the meantime, our mission in Phnom Penh was in a progressively more precarious situation. The Khmer Rouge were advancing toward Phnom Penh. Perhaps our telegrams to Washington became more alarming by the day. But all members of our mission were trying to avoid a situation where the United States would leave Cambodia with its tail between its legs and abandon an ally that we had pledged to support…. I had suggested to [CINCPAC Commander] Admiral Gayler that we should leave Phnom Penh not by fixed wing, because the airport was about 4-5 miles out of town, but from a football field very near to the embassy, in town, from where we would be extracted by helicopter. After a number of exchanges of cables and after the Admiral had come to Phnom Penh himself to survey the situation first hand, our view prevailed. Selecting the safest, nearest, and most convenient site as the staging area for our departure made a great deal of difference when push came to shove. There was also a difference of views with Washington over who we at Embassy Phnom Penh were responsible for. Obviously, all official and non-official Americans were eligible for evacuation. In reply to a query about which Cambodians should we take out, Washington suggested Cambodians in the government, Cambodian military closely linked to the U.S., and all well-educated Cambodians who Washington felt (and rightly so) were a target for the Khmer Rouge once they came to power. Our mission took exception to that cable, pointing out that anybody who had been working for Americans, Cambodian or third-country national, whether he or she was illiterate or a Ph.D, was in danger. Our team agreed that we would take everybody who wanted to go, whose life could be endangered. We took gardeners, houseboys, Koreans working for our mission, Cambodian generals or ministers, or educated Cambodians. One of them was a Cambodian atomic scientist who was still in Phnom Penh and who later went to work for the French Atomic Energy Commission outside of Paris. In short, we took people whose lives would be endangered when the Khmer Rouge came to power. I also sent helicopters into the provinces to bring back some members of the International Red Cross. Sixteen of them came back to Phnom Penh by U.S. helicopters. I went to see the Archbishop of Phnom Penh at the beginning of the year, and he believed that all clergy, nuns, monks, regardless of nationality, would be safe. Some of the young French priests were not particularly supportive in their sermons of the American role in Cambodia. By the end of March 1975, I pleaded with the Archbishop to permit all Cambodian priests, nuns, monks, whose lives might be in danger, to leave with our planes for Thailand to await developments. After a great deal of pleading, I was able to take out some 40 nuns and monks on the DC-8s to Thailand. The Cambodian Bishop of Phnom Penh refused to leave his flock and was among the first to be killed by the Khmer Rouge. There were quite a number of people – both Cambodian and foreigners – who believed that one could deal with the Khmer Rouge. In my opinion, you could only deal with them if you had something to negotiate with. 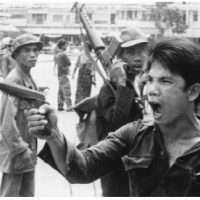 The existence of a Cambodian army, navy, air force, and educated elite which was able to govern, and major foreign powers who could help on the international scene, would permit the Phnom Penh side to have sufficient weight to be taken seriously in a negotiation by the Khmer Rouge. In February of 1975 we had sent our wives and all dependents of our mission to Thailand. We also reduced the size of our staff in Cambodia. The evacuation from Phnom Penh, which went off without a hitch, was run by my good friend, Robert V. Keeley. Again, I would like to give him full credit for all he did for our embattled mission. We were also on the telephone with Washington shouting, “Help us: We are going under. We are going to leave this country unprotected.” On the other end, on the telephone, was our old, dear friend, Assistant Secretary Phil Habib. The time of negotiation had run out but even Phil Habib could not convince Dr. Kissinger that the existing “fight on” policy was going to lead to a disaster. Certainly by the end of February and the first week of March, the Khmer Rouge were pressing hard. We used that time to move as many Cambodians, Americans, and foreigners as possible to safety in Thailand. We had set up a system imagined by Robert Keeley [Deputy Chief of Mission], Ray Perkins [Chief of the Political Section], and Tim Carney, a junior officer who spoke Cambodian. Tim became ambassador later in his life. All those who felt endangered were sent out by plane over a period of eight weeks before our departure. In addition, we had set up a procedure whereby key Cambodian leaders were told to send an assistant or secretary to the U.S. embassy at 6:00 a.m. every day to find out the situation and decisions taken by us regarding taking people to safety. I thank you very sincerely for your letter and for your offer to transport me towards freedom. I cannot, alas, leave in such a cowardly fashion. As for you, and in particular for your great country, I never believed for a moment that you would have this sentiment of abandoning a people which has chosen liberty. You have refused us your protection, and we can do nothing about it. You leave, and my wish is that you and your country will find happiness under this sky. But, mark it well, that if I shall die here on the spot and in my country that I love, it is too bad, because we all are born and must die (one day). I have only committed this mistake of believing in you the Americans. Please accept, Excellency and dear friend, my faithful and friendly sentiments. Basically, [President of the Khmer Republic] Lon Nol was no longer in Cambodia. On April 1, 1975, Lon Nol had left with his immediate family, via Indonesia, for Hawaii and had found refuge there. He died some years later a broken man. By the time the end came to the Lon Nol regime, Lon Nol himself was handicapped. He already had suffered a stroke…. He had fought for his idea, his vision of Cambodia, and had placed his trust – like Sirik Matak – in the United States. I do not find it appropriate for me to criticize a man who had many flaws, but he certainly tried to keep the country together against the Khmer Rouge, a policy we supported. Other members of the embassy went to other Cambodian ministers in these fateful hours of April 12 to try to convince them to come along with us to safety. The American Marines who had come to secure the soccer field near the embassy’s Chancery did a magnificent job and made sure that all those who had found safety in the American embassy – Americans, Cambodians, foreign nationals – could be taken to the waiting helicopters on the adjacent soccer field. The number of helicopters available was well beyond the number of people who showed up for evacuation. I think the helicopters were coming from Thailand and from U.S. aircraft carriers cruising off the coast of Cambodia. The job of the helicopters was to ferry all those who were leaving, not directly to Thailand but first on U.S. soil. That piece of U.S. soil was the American aircraft carriers on which we were to land. When I came back from Long Boret’s house and the others had returned from seeing the other Cambodian dignitaries and generals, I realized that only one key Cambodian had asked for evacuation with us. It was (retired) General Saukam Khoy, former President of the Senate, who had taken over as Chief of State on April 1, 1975, after Lon Nol’s departure. He came with his wife and family and we ferried them to safety. On that fateful day, I said to General Palmer that I wanted to be the last person to leave Cambodian soil. I felt like I was the captain of the ship and, as the tradition goes, the captain is the last man to leave the ship. My wish was granted. Awaiting to be called to move to the extraction site, I was sitting in my office, fully aware of the meaning of the moment for our country. I read the letter from Sirik Matak which had arrived about 45 minutes earlier. Looking out of the window, I saw the Marines taking people to the helicopters and to safety. I watched the Embassy personnel driving themselves to do all they could to help those who had thrown in their fate with us. Many had worked all night long drafting the letters which were delivered in the early hours of April 12, offering to take them to safety. Robert Keeley had drafted that letter. Nobody was turned down for evacuation, including at the last moment, Sydney Schanberg’s Cambodian staffer working for the New York Times. We took foreign nationals out, for whom we had responsibility, or even if we had no responsibility. We did not distinguish between illiterate gardeners and highly educated intellectuals. We took the Cambodian girlfriends of some of our bachelor staff members out to safety. I asked our resident military and the Marines in charge of the evacuation to take out anybody who wanted to go with us. At one point in my office, I took a pair of scissors and cut the American flag and the President’s flag off the staff of the poles which were in back of my desk in the ambassador’s office. I was trying to figure out a way of giving some form of protection to the symbol of our country and to the people whom I represented in Cambodia. Tears were rolling off my cheeks. I was alone. I took the two flags and put them over my arm. I got some plastic so they would not get wet. Unkind newspaper people wrote that I had put the flags in a body bag for dead soldiers. On our way to the helicopters, I stopped at my residence where the American flag was flying, and I struck the colors. I took the flag, the third flag, and put it with the other two flags. I asked the Cambodian staff at my residence whether they wanted to go with me. Some of them had been sent to safety before. Those who were still at the residence on April 12 thought they could stay behind without fearing for their safety. At that point, I abandoned the ambassadorial limousine and walked the rest of the way to the waiting helicopters with the American flags draped over my arm. As a Boy Scout in Kansas City, as an officer in the United States Army, and as a Foreign Service officer, I respected the Stars and Stripes as a symbol of our country. I was the last man in our mission to leave Cambodia in a very large helicopter. One of the correspondents of an American broadcasting system sat next to me weeping because he understood what was going on. We landed on an American aircraft carrier. The entire extraction was called “Operation Eagle Pull.” It was described at length in a Marine Corps magazine some years later. As I landed on the deck of the aircraft carrier, the loudspeaker announced that “Operation Eagle Pull” was completed. I was asked to go into a large room and there I heard the President [Gerald Ford] of the United States’ voice speaking to me. He praised all 200 Americans who had done their very best to uphold the dignity and reputation of the United States. Years later, a book was published, “Exit Without Honor.” I had a hard time understanding those who only criticized those who represented the United States under very difficult circumstances. We all risked our lives and tried to serve our country to the best of our abilities. On behalf of the United States Government and the American people, I want to commend you and your staff for your valiant leadership and service in the successful evacuation of Americans from Phnom Penh. In reviewing the events surrounding the last few tragic months in Indochina, I can look with pride at your selflessness and devotion which are so appropriately in keeping with American sacrifices of the last decade. You were given one of the most difficult assignments in the history of the Foreign Service and carried it out with distinction. I know that all Americans join me in expressing our most sincere thanks and appreciation. We left the aircraft carrier by helicopter and landed on a military base in Thailand. There, I was reunited with my wife. She had been with the wife of General Palmer at an American base, waiting for us. In whatever I did in my professional life, I always had full support from my wife. We are now married half a century. I am grateful to her and to all those with whom I served in Cambodia under very difficult circumstances. Whatever honors and distinctions were bestowed on me during my service, it was in recognition of all those who served our country with distinction. The Cambodian experience was a wrenching experience for all of us who served there. Whether they were secretaries or generals, ambassadors or clerks, we stayed in contact for a long time. After our evacuation, I was instructed to remain in Bangkok for three weeks, writing Efficiency Reports. All those who had served together in Cambodia – Americans and Cambodians – got together one last time on a pleasure cruise boat in Bangkok to say goodbye. This quotation became the leitmotif for the rest of my years in the Foreign Service. of Angka’s agrarian communist Cambodia.